Following an earlier decision to bringover 20 types of consumer productsunder the current alcohol and tobaccotrack and trace system, the Armeniangovernment is now extending it topharmaceuticals. The decision comesinto force on 1 October and reflects thestate’s progressive attempts to reducetax evasion and establish controls overall sectors of the shadow market. Softdrinks, juices and beer were broughtunder the system just last year and earlythis year the government decided toextend it to tea, coffee, dairy productsand meat as well as soap and cosmetics. The multi-billion contract was won byArmenian security printer AM-PG, whichis supplying its Vero Code track and tracesystem along with bimetallic holographiclabels onto which variable data is applied.According to the company, the systemhas been developed in response to currentmarket demands, where conventional taxstamps are no longer proving effective andboth counterfeiting and illicit trade continueto be a major issue for state economies.The system is also aimed at commercialend-users who are looking to protecttheir branded products and secure theirdistribution chains. Last year the companyproduced nearly 5 billion labels. 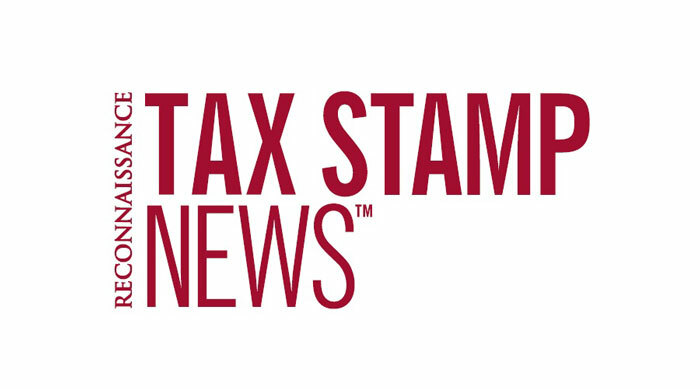 The system uses proprietary custom-createdclosed algorithms to generate unique codesthat are applied onto tax stamps and labelsand that cannot be re-engineered, cloned ormass-copied. This is in contrast to standarddata matrix, QR and linear codes, whichuse open algorithms available to anyone.AM-PG will continue supplying specialisedreaders and a smartphone app for consumerverification. The typical response time doesnot exceed several seconds. Correctionalgorithms are used to enhance readabilityso that even if the code has been partiallydamaged the system will still read it. Data displayed on the screen includesmanufacturer or importer details, productionlicence and VAT numbers as well as productdetails, current location, unique serial numberand information on whether verification hasalready been performed. Each verificationalso generates a full product flow reportwhich it transfers to the central database.Code generation and printing remain withinthe remit of the state, which also controlsthe degree of access it wants to give toeach stakeholder. Access is enabled withthe use of digital signatures and a multilevelauthorisation process. The Vero Code track and trace systemhas a three-tier structure in which userinterface, application servers and databasemanagement are maintained as independentmodules on separate platforms. The basicfunctionality for data exchange is providedby multiple interfaces. The main advantageof the system is its flexibility for upgrading, asany one of the three tiers can be upgradedor replaced independently without affectingthe rest of the system.